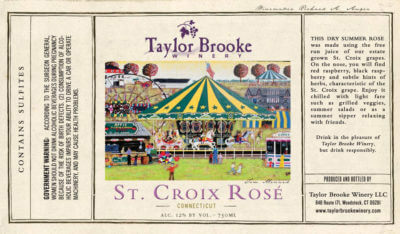 St. Croix Rosé - 750ml. $14.99 This wine smells like summer. Strawberries and scents of a freshly watered garden dominate the aromatics of this off-dry Rosé. Made by limiting contact with the skins of the red St. Croix grapes, this is the red lover’s summer sipper. 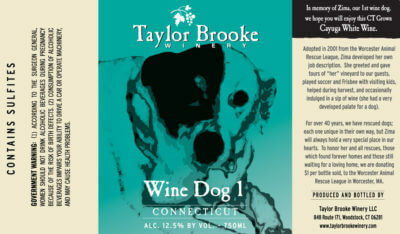 Taylor Brooke Traminette - 750ml. 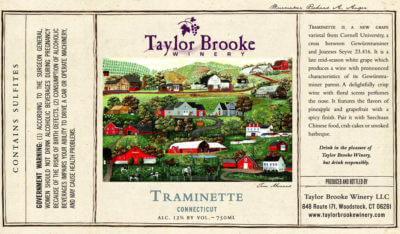 $15.99 The color of golden hay, Traminette is a highly aromatic estate grown grape related to Gewürztraminer. This grape produces a fruity wine that is medium weight with a hint of spice. 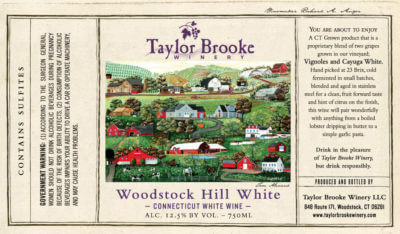 Woodstock Hill White - $15.99 Estate grown Vignole grape is blended with a small amount of our Cayuga White. Woodstock Hill White starts with a kiss of sweetness which immediately gives way to notes of pineapple, orange blossoms, and flowers. It has a rounded acidity and a slight minerality. 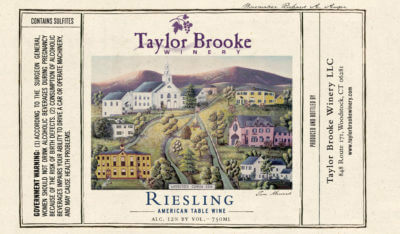 Riesling - $15.99 Riesling juice from Washington State is vinified on site to create this crisp, clean wine with notes of apricot, peach, and a touch of honeycomb.